Horror omnibus films are consistently prevalent in Korean cinema, particularly arising at film festivals where directors – who are typically between projects – use the medium to showcase and experiment with their respective aesthetics through the short story form. Last year’s horror anthology MAD SAD BAD opened the 2014 Jeonju Int. Film Festival and featured three talented directors experimenting with 3D technology for addition frights. Horror Stories kicked off the 2012 Bucheon Int. Fantastic Film Festival, depicting three tales encapsulated within a larger framework, while sequel Horror Stories 2 appeared at BiFan the following year. Yet while the format allows directors to experiment with their craft, it also inevitably results in comparisons regarding which tale is more effective, an unfortunate byproduct director Oh In-cheon smartly circumvents by helming all four stories within 12 Deep Red Nights: Chapter 1. Following his well-received feature debut Mourning Grave, director Oh’s 12 Deep Red Nights: Chapter 1 articulates four tales of woe in the dark recesses of Korea after dark which, while competently helmed, disappointingly lack flair and creativity. 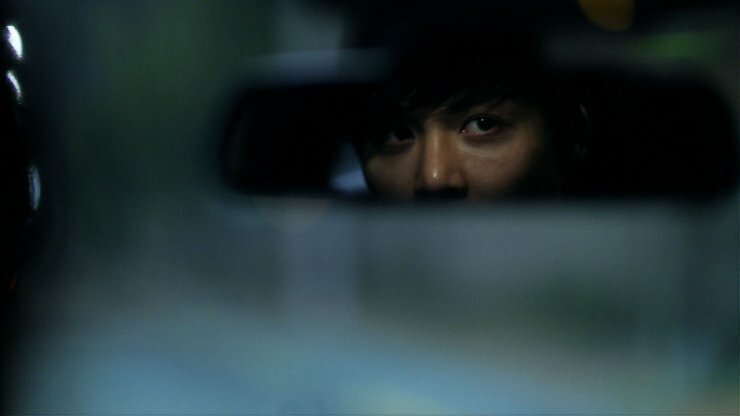 While disorientating scenes of the urban nightlife are effective, the omnibus seems to be more akin to a practice run for future endeavours as director Oh experiments with pacing and generating suspense, with actual scares in very short supply. That said, it’s interesting how horror is derived from commonplace features of life in the peninsula. In 1st Night – Driver, a young socialite calls for a driving service to take her home and begs the driver to kill her, promising to bestow all her wealth as a reward. For foreign audiences the notion of this industry will undoubtedly be initially difficult to digest, yet once accepted as commonplace in Korea the tale becomes an intriguing one. Tension is generated well as the driver struggles with the morality of the situation, yet the climax is a letdown. 2nd Night – PM 11:55 sees a female office worker return to her apartment, unknowingly followed by a hooded figure. Tasked with completing a translation assignment before midnight, the woman achieves her goal with five minutes to spare. Yet as she unwinds, the hooded figure begins consistently ringing her door bell and refuses to leave, with the woman unable to contact the outside world for help. PM 11:55 sets up a sense of panic well, clearly inspired by real circumstances. However director Oh seems unsure how to end the story, which comes to an unsatisfying, abrupt end. The next tale, 3rd Night – atmosFEAR (or literally Sounds of a Man) is the most impressive in terms of generating an increasingly heightened aura of suspense. An audio technician requires ambient sound for his latest project, and uses his equipment to record the sounds that occur at night. After capturing conversations of couples arguing, he traverses a countryside area for natural ambience. Yet upon hearing a girl’s scream, he follows his recording equipment to investigate the source. While the camerawork and props are employed to created palpable tension, the finale is easily the most disappointing of all the short stories. Finally, 4th Night – Secret Night tells the tale of junior office worker Yeong-min who attempts to steal company secrets. This segment is the most narratively driven and complete tale within the film, exploring the fraught dynamic between senior and junior company staff in Korea alongside issues of blackmail. Yet while Secret Night is the most structured tale, it’s also the most bland and laborious due to the overly long running time and drawn out story. 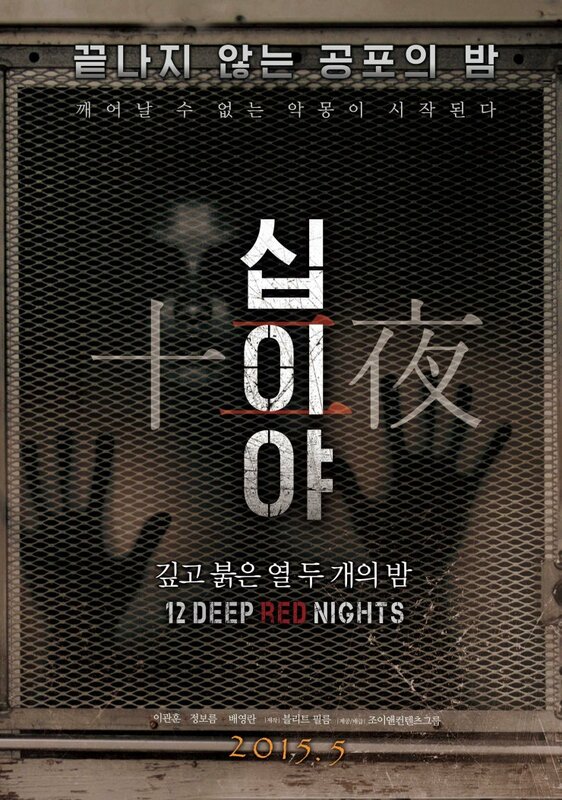 Depicting four tales of nightly horror, omnibus 12 Deep Red Nights: Chapter 1 is a competent yet uninspiring addition to director Oh In-cheon’s filmography. The anthology serves more akin to a practice run for future endeavours rather than an inventive take on the genre. While suspense is generated well throughout each story disappointment quickly follows, and is a mediocre effort by a usually solid director.